ASCENSION IS FOR THOSE WHO HAVE AWAKENED TO THEIR TRUE SELVES & ASPIRE TO LIFT THEMSELVES UP. Here we are on the verge of a great episode in your journey through duality that will end with those who are ready to ascend leaving your present dimension. It does not mean that everything will change at once, but it will result in you being elevated to a higher dimension where you are with other souls of a similar vibration. It will ensure a life in which you experience a close harmony and joyful relationship with all souls. The harshness and confrontation you experience now will disappear for good, as those beings who cause such problems are not ready to ascend. Ascension is for those of you who have awakened to their true selves, and aspire to lift themselves up. When you can accept all others as One with you, and live your life in the manner of giving out Unconditional Love you are a perfect example of one who is ready. The Light as ever continues to grow exponentially, and is carrying you forward faster than ever. It will meet its optimum level on the 21st. 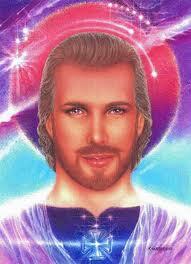 December 2012 and will trigger the Ascension of Mother Earth and all those souls that are ready to go with her. By then you will have been re-assured about the safety and future of those who take a different path, and all happens as it should according to Universal Law. Put simply it states that no soul can move upwards until they have reached a similar vibration. All are cared for and by the time Ascension comes round, each one will be aware of what is to take place. As a cycle ends there are natural changes that open up the next phase of your journey that endeavors to take you higher. The opportunities are always there for every soul. To some extent life continues as before, but already you see the signs of change that are inevitable. How much suffering occurs depends on your Governments and how quickly they adopt the new ways that are being offered to them. Military might will not delay the changes, although the Illuminati proposed to use it against us if we attempted disclosure and appeared on your Earth. We can easily deal with such threats but do not wish to create conditions that may rebound upon you. We are all for disclosure as soon as possible but it must be against a peaceful background. However, it may come when you least expect it, as there is more than one country that will back such an announcement. Filed under: Ascension, Mike Qunisey, SaLuSa |	Comments Off on ASCENSION IS FOR THOSE WHO HAVE AWAKENED TO THEIR TRUE SELVES & ASPIRE TO LIFT THEMSELVES UP. Afghanistan is made up of diverse tribal kingdoms. [i] People have lived in Afghanistan since at least 7000 B.C. [ii] As part of the ancient Persian Empire, Afghanistan has been a crossroads for travelers of many nationalities and cultural influences. The ancient Chinese Silk Road Trade Route ran through Afghanistan on its way to the Mediterranean Sea. Although their cultural history was rich for over 5,000 yrs, the country has been stymied culturally since the 17th century by the lack of prolonged periods of peace in which cultural pursuits are possible. 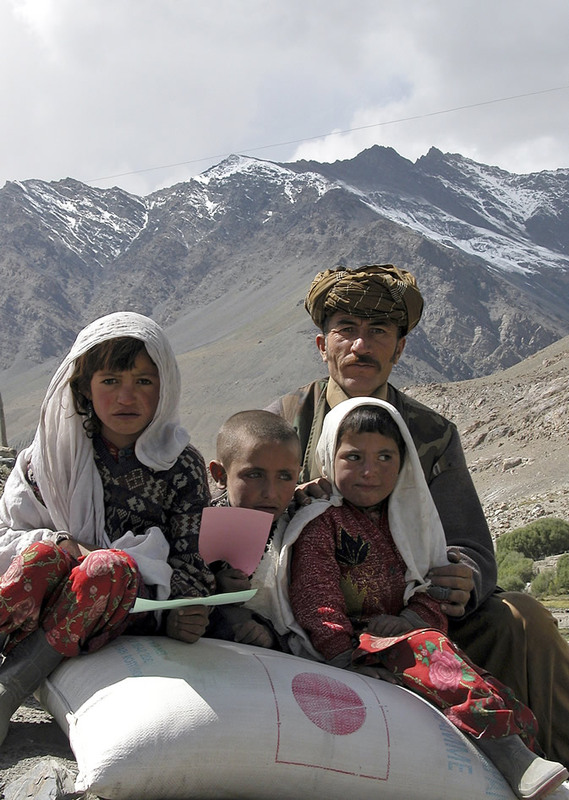 The Afghan people are fiercely independent in nature. This innate inner strength can be seen in their eyes. The astounding beauty of the Afghan people can be seen in the children. Look into their eyes … see them smile in circumstances that defy happiness and yet their inner light and joy shines forth. Najiba Fazzay, far right, gives a talk on maternal health care to expectant mothers in the village of Aquachanoy near Jawjzan, Afghanistan. Afghanistan, like Iran, is famous for its handwoven Persians rugs. No wandering, bored eyes here – Afghan children are serious about their education. “When I was a child, my father enrolled me at the local school. After a few months, I didn’t want to go any longer. I was only six, and school made me depressed. The teachers were mean to us when we made mistakes. They would hit us. So I quit going to school. When my father found out he bought me gifts and spoke with my teacher, but I refused to go back to school. After that, he didn’t talk to me for one week until finally he sat down with me and explained that God created good and bad people in this world and not everyone’s behavior is how we would like it. He told me that if I did not go to school I would regret it. My peers would become successful and I would have to stay home due to being illiterate and no one would want me. He said there is nothing more important than education. He cited the holy Qu’ran and said that God and our prophet Mohammed loved educated people. Our prophet told us, “Go and learn knowledge even if it is in the farthest place of the world.” He asked me to not give up because of little struggles along the way. This speech opened my eyes. I went back to school and since then I have worked hard at my studies. My father always brought me books to read. After I read one he would ask me to write down what I thought about the book. I began to read books on many different subjects. When he noticed that I had become interested in reading about women’s issues, he brought me books on women’s rights in Islam and other religions. May we remember the beauty of the Afghan people and work for World Peace by envisioning them living in peace! WE ARE ONE FAMILY OF GOD! [i] Ali, Sharifah Enayat, Afghanistan, 1995. [ii] Whitfield, Susan, Afghanistan, National Geographic.